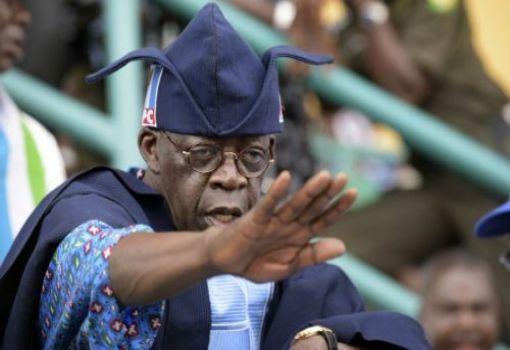 Asiwaju Tinubu said in a statement in Lagos at the weekend by his Media Office and signed by Mr. Tunde Rahman that it was essential for people of various religious groups and persuasions to accommodate one another and live in peace and harmony. Twenty-two suspects were arrested and quizzed by the police in the wake of the crisis sparked on Thursday by restive youths in Kajuru Local Government Area of the state. The APC leader admonished traditional, religious and youth leaders to embrace peace and put an end to the mayhem and bloodshed, which first reared its ugly head in the area in February this year claiming 10 persons. He particularly urged the Christian Association of Nigeria (CAN) and Jama’atu Nasril Islam (JNI) in Kaduna State and in the troubled area to inculcate in their members and youths generally the importance of peaceful co-existence and the sanctity of human life, saying without peace and tranquillity, a society cannot make any meaningful progress. “Security agencies must also be alive to their responsibilities and step up their intelligence gathering mechanism. The police should be pro-active so they nip any deadly attack in the bud before they are hatched. We must bring all the perpetrators of this fresh attack to book, they must be made to face the full wrath of the law in order to serve as a deterrent against any future nefarious plan,” he added. Governor Nasir el-Rufai had on Thursday soon after the problem began imposed a two-hour curfew on the area. He later visited the area on Friday to assess the situation. The Commissioner of Police in the state, Ahmad AbdulRahman, also visited the area to engage youth leaders, traditional and religious leaders in a bid to check further bloodshed.